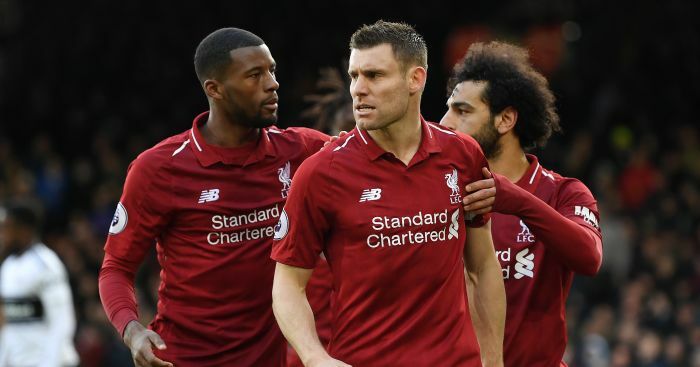 Home Mediawatch Revealed: Liverpool will win league by seven points! Revealed: Liverpool will win league by seven points! Mediawatch loves us a super-computer. Even though we know it’s just a normal computer loaded with an algorithm, we love us a super-computer. But do you know who loves a super-computer even more than Mediawatch? Yes, that’s right; football website editors desperate for clicks. How special must the Daily Mirror football journalists feel when they open up their newspaper’s website to see that front and central? Sod all their work over a long weekend of football, a ‘supercomputer’ has done a prediction. It’s not even really a ‘new prediction’ as there is a running predicted league table on Football Web Pages; every day brings a ‘new prediction’. 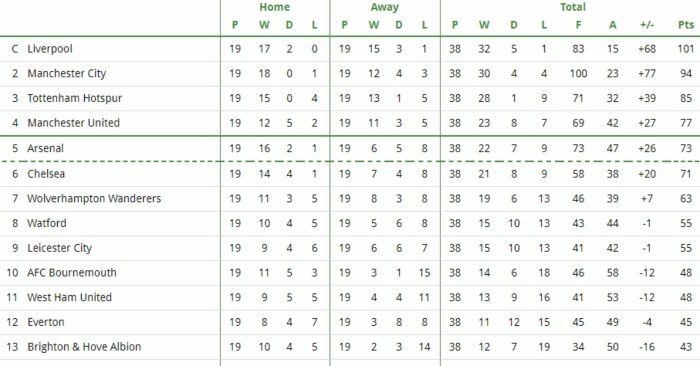 And their current predicted final table – seen in full here – has Liverpool top by a full seven points and Manchester United in fourth. Hence, United fans ‘will love it’. If they are simpletons. And assuming they have never seen this ‘supercomputer’ in action before. On Christmas Day, for example, this ‘super-computer’ predicted that Liverpool would win by just a point. So, to re-cap, at a time when Liverpool were four actual points ahead of Manchester City, they were predicted to win the title by one point. And now, level on points with City, they are expected to forge a seven-point advantage over City. It all makes perfect sense. 🤔 | #EFC@FootballWebPgs ha hecho una predicción de los resultados de la Premier League a final de temporada basados en datos proporcionados por una súper computadora. El Everton quedaría en el 8vo puesto con 51 puntos. So how will Manchester City – who have won seven of their last eight Premier League games, remember – end up seven points behind Liverpool? Well thankfully, the super-computer provides its working out, so we know. Firstly, Liverpool are going to win every game without conceding another goal. Of course. As for City, well apparently they will draw 1-1 at Bournemouth. Which is odd because they have calculated a 50% chance of an away win in that match. And this will come a week after Liverpool win 1-0 at Manchester United despite there being only a 48.8% chance of an away win in that match. Obviously we don’t have a super-computer so we don’t quite understand how that works. But we’re sure it’s just science and stuff. Our favourite line of the Mirror piece? 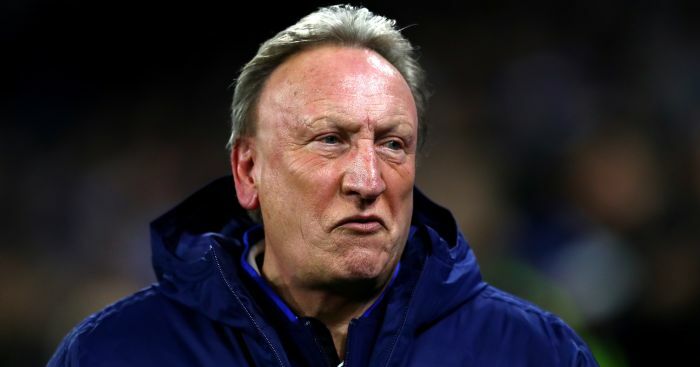 How bizarre that the Mirror website has to resort to a made-up league table to generate clicks when their actual back page on Monday morning confidently states that ‘MAURIZIO SARRI is facing the sack after Chelsea’s heaviest Premier League defeat’. It’s almost like that was a complete guess by the newspaper’s Manchester correspondent. Remember this? ‘MANCHESTER CITY should win the Premier League. They have the best team and definitely the deepest squad’ – The Daily Mail. Somebody doesn’t have a super-computer. Now if you are wondering why a Chelsea fan took his season ticket to an away game, you are right to wonder. Because of course a Chelsea fan did not take his season ticket to an away game, he took his membership card, which – as the report actually states – ‘gives supporters the opportunity to buy tickets before they go on sale to the public’. The game’s gone. Sod that, the world’s gone. ‘The Premier League needs to finally call time on Watford’s feud with Everton before someone is killed. Yes. Yes. A million times yes. You’ve absolutely lost it there. Following an incident after todays Watford v Everton Fixture 2 males received treatment for cuts and bruises and were conveyed to Hospital. 4 males were arrested at the scene and remain in Police custody. Reports that males were stabbed are fortunately untrue. So you want us to ask two men with ‘cuts and bruises’ whether somebody is going to get killed if the Premier League do not step in to stop Watford’s feud with Everton? Seems reasonable. You don’t say? And there we were thinking that Watford and Everton fans traded blows while arguing vociferously about whether Watford should really have played ‘Lying Eyes’ ahead of the match, as part of the ‘petty jibes and namecalling’ that has been going on between the two clubs over the last 12 months. But regardless of there being no evidence of a link, you want the Premier League to somehow stop those ‘petty jibes’ to prevent somebody actually dying? Are we in some sort of parallel universe here? Oh we are. We actually live in a world where a journalist has asked one club if they will report another club to the Premier League for playing The Eagles. ‘ANTHONY MARTIAL could have walked out at Old Trafford as a FORMER Manchester United player tomorrow night,’ begins Charlie Wyett’s ‘match report’ in The Sun. As always, spare a thought for the Fulham fans who pick up a newspaper hoping to read about their team this Monday morning. Tough luck, for there are benign quotes from Ole Gunnar Solskjaer about Martial. (though The Sun themselves did claim that PSG rejected that deal in July). Well, Mourinho was ‘eventually’ sacked in mid-December, around six weeks before Martial signed that new five-year contract. The order is pretty damned important to the narrative here; the notion that United backed Martial over Mourinho is not exactly accurate. Wyett then goes on to quote Solskjaer saying he is “glad” that the Frenchman is in his team, which is somehow spun as ‘another refreshingly upbeat response’, presumably in contrast to misery-guts Mourinho. Is anybody else getting a bit bored with this trope yet? Listen, come and find us when Solskjaer watches his player score in a 3-0 victory and then says he doesn’t want that c*** in his team; then we’re interested. ‘BERND LENO came clean – even if once again he did not manage to keep a clean sheet away from home. ‘The German keeper, 26, admitted he had no idea Arsenal are the only Prem club this season to have conceded at least once in every league game on the road’ – The Sun. Frankly, we’re embarrassed for him. Time magazine listed Mohamed Salah in their top 100 most influential people in the world. 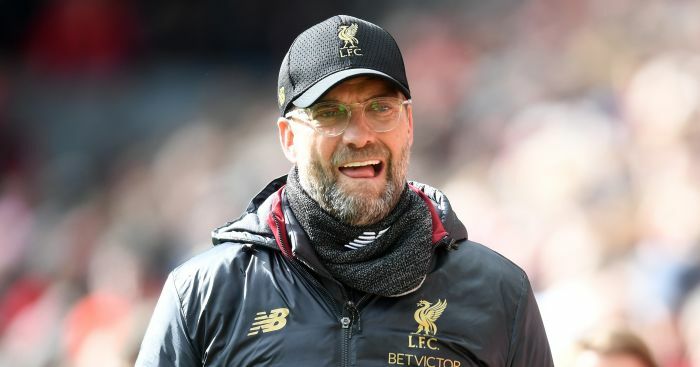 Liverpool manager Jurgen Klopp has insisted his players will treat Cardiff the same as Barcelona. 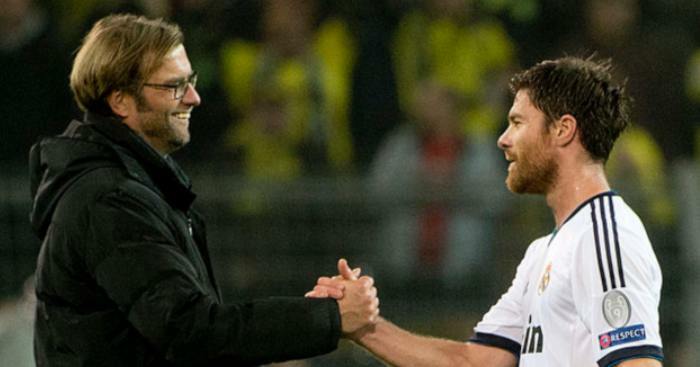 Former Liverpool midfielder Xabi Alonso wishes he had the opportunity to play under Jurgen Klopp. 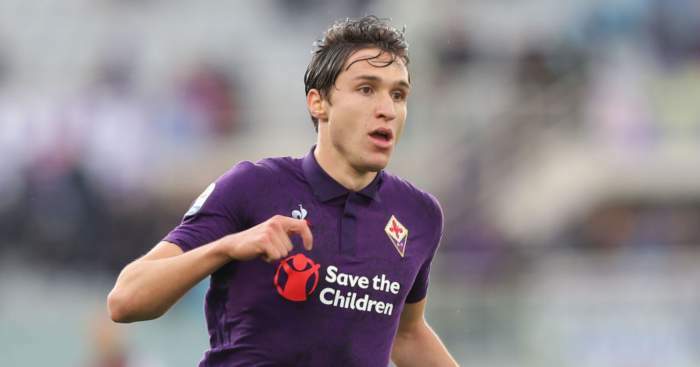 Fiorentina would reportedly be looking for a fee in the region of €70million for Federico Chiesa. 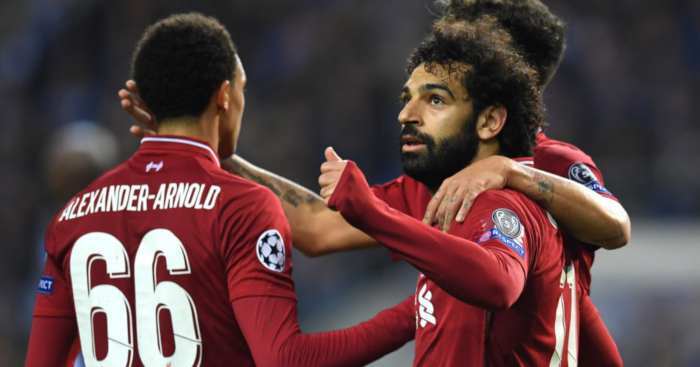 Liverpool will face Barcelona in the first of two legs on May 1 as they clash in the CL semi-finals.